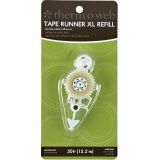 Therm-O-Web Memory Tape Runner XL Refill - THERM O WEB-Memory Tape Runner XL: Refill. Double-sided adhesive refill contains 600 inches of adhesive…that's 50 feet! A patented pivoting head on the runner allows you to apply adhesive in precise curves, as well as lines. Clear, permanent bond. 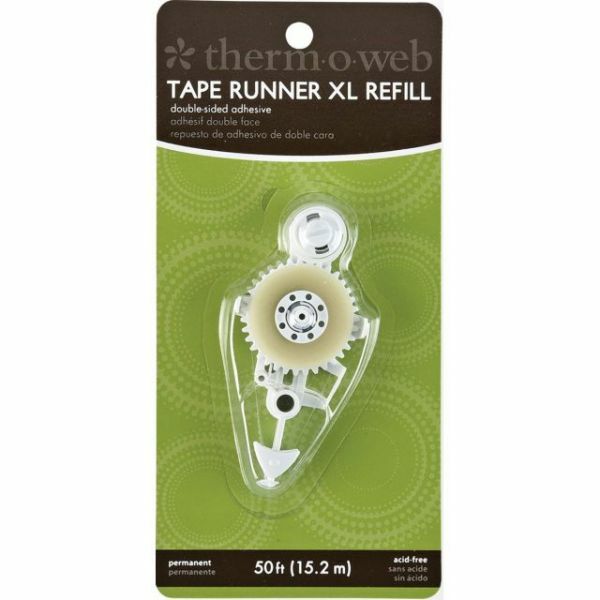 This refill fits in and requires a Tape Runner XL™ (#3914) dispenser and features a drop-in loading system. Conforms to ASTM D4236. Imported.